Looks like a mighty healthy salad! 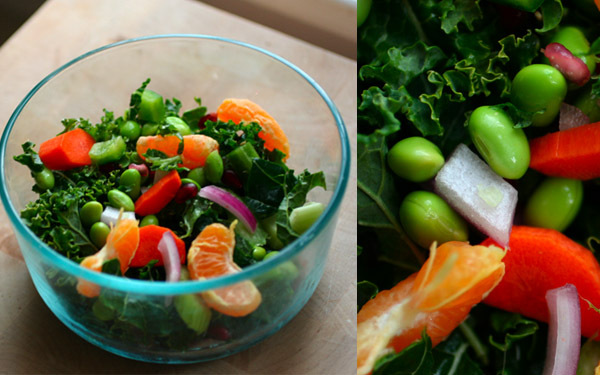 I keep meaning to use a bunch of kale we have at the moment, so might have to give this salad a whirl! I hope you enjoy, Hannah! oh wow! This looks awesome! I feel as if I'll have super powers after I eat it. You should try morton's sea salt instead of normal sea salt. I find it tastes way better and didn't have the contentions sea salt has.